Today, as I reflect on the plight of so very many children, I can’t help thinking about that empty box and like little Jay, I simply want to wail. I think it was Boxing day, the second day of Christmas, when I first heard about the little 8-year-old Guatemalan boy who died on Christmas Eve, in the custody of U.S. Customs and Border Protection. Felipe Alonzo-Gomez’s death has haunted the twelve days of Christmas. Little Felipe’s death coupled with the knowledge that another child had died earlier in December, is an obscenity that ought to reduce every adult to wailing. Little Jakelin Caal Maquin was just seven years old when U.S. Customs and Border Protection failed in their duty of care. Little Jakelin and Little Felipe’s protection was sacrificed on the altar of a political idea which continues to put the protection of a border over and above the lives of children who are fleeing violence in their homeland. I confess that I’ve been more than a little obsessed this Christmas season by the plight of refugees. I’ve found myself searching for all the information that’s out there, hoping against hope that somebody, anybody has a magic solution that will safeguard the lives of refugees. But alas, like little Jay, I show up to greet the Christ child, with what appears to be nothing more than an empty box. I’ve discovered all sorts of information. I would tell you all of what I have learned but if the truth be told, the information is so very overwhelming that I’m afraid that if I told you, we’d all just end up weeping. Suffice it to say that according to the United Nations Refugee authorities, last year there were close to 70 million migrants who were displaced by war and violence and there is no indication that 2019 will see these numbers go down. In addition to refugees, the UN estimates that 132 million people will need humanitarian aid in the coming year. The numbers are staggering. The temptation is to simply move on. Shed a tear perhaps but move on. After all, I’m only one person. What can I do? The world is a very dark place. South Sudan, Yemen, Democratic Republic of the Congo, Sudan, more countries in South and Central America than I can name, and then there’s the Rohingyas of Myanmar. Is it any wonder that we have become numb to the largest migration crisis since World War 2? So, let me say their names again, little Jakelin and little Felipe, just 7 and 8 years old. 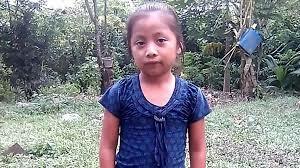 Jakelin and Felipe, remember them. Jakelin and Felipe were fleeing violence accompanied by a parent. Parents who were helpless in the face of illnesses that under normal circumstances could have easily been treated. But these are not normal circumstances. These are dark days for migrants fleeing persecution, violence, and poverty. Lest you think that we in Canada are doing a better job than our American cousins, I would remind you that more and more of these migrants are showing up at our border. About 300, in 2016, 500 in 2017, and the numbers have yet to be released for 2018, but speculations put the figure at about 1,000. 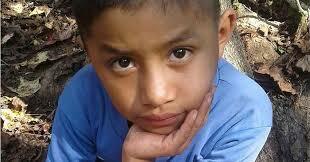 Information about the welfare of these children is difficult if not impossible to discover, I know, I have tried. One thing I do know is these numbers are only going to increase. It is getting darker and darker. So, what can we do in the face of this darkness? Well the good news is, there are many organizations working to provide light in the darkness. Clear policy guidelines have been identified. Rich countries that receive relatively few refugees must increase their support to countries that open their doors. That means we need to increase the pressure on our own elected officials. We need to work with advocates to ensure that countries on the front lines are first in line for financial aid. We need to advocate to prioritize the resettlement of vulnerable populations. We need to take a long hard look at the vast empty spaces in our rich land and work to encourage Canadians to share our land and wealth. Each and every one of us needs to support accredited agencies that are working with partners on the ground around the world to deliver aid. Lutheran World Relief is one option. There are others. There’s a very helpful quote from the Jewish wisdom sage Rabbi Tarfon: that has helped me to see some light in this darkness. We are not obligated to complete the work, but neither are we free to abandon it. You and I are among the wealthiest people on this planet. Our cups positively overflow with blessings. We need not be daunted by the magnitude of the worlds’ grief. We need to pick something to do. Maybe your gifts aren’t suited to the refugee crisis. I remember little Jay was overcome with grief over the loss of his gift of gold. What could he possibly do? There was no time to go home and make another gold bullion. The nativity play would be ruined. All was lost. He’d looked everywhere he’d been. He couldn’t find the gift he was expected to give. It was not where he had left it. So, Jay’s Dad did the only thing he could do, he dug down deep into his own treasure to find a gift to give. He opened his wallet and looked at the bills; money, perhaps a few twenties would do the trick; modern gold? And then he saw it; the most precious treasure of all. It was a bit battered from its time spent in his wallet, but it was after all his most valuable treasure; so, he placed it in Jay’s box so it could be given to the newborn Jesus. When the time came, Jay bowed regally before the babe and little Emma smiled up at him, as he proudly lifted the lid of his beautifully carved box and offered up the gift that lay inside. The audience couldn’t see what I saw, but it was a gift more valuable than gold. For nestled there upon a bed of satin, was a slightly worn photograph of Jay. What gift could be more precious that the gift of one’s self? We spend too much time looking to the heavens convinced that the light to guide us through the darkness is there waiting to be bestowed upon us by some king in the sky. The truth rests more securely closer than we have ever imagined. The light that can brighten the darkness cannot be found looking up into the heavens. Light shines deep inside of our being. Our light lies waiting to be shown to a world in need of such light, as we have to shine. Shift your gaze from the heavens for the light of the world shines forth from you. Look around you and you will see the Light of the World in your neighbours. You are the light of the world oh people!!! Shine forth, for the world has need of your light. You may not be prepared, you may not think you’re ready, but deep within you shine the light this world needs, creation is waiting for you. The most profound words spoken in any nativity pageant are the words, “do not be afraid”….”fear not”. We’ve spent far too long looking into the heavens for the Light to guide us. The is not up there. The light is over here; and here; and here; in you and you and you, and me. The light you seek to guide you in the darkness lies not in the heavens, but here, deep inside. Open yourselves up and let your light shine, for your light is the light the world needs to provide a way through this darkness. You are the light of the world. Shine! Shine! Shine! For God’s sake, for all the little people’s sake. Shine! Shine! Shine! and who befriends the foreigner among you with food and clothing. In the same way, you too must befriend the foreigner, for you were once foreigners yourselves in the land of Egypt. “Where is the newborn ruler of the Jews? At this news Herod became greatly disturbed, as did all of Jerusalem. Summoning all the chief priests and religious scholars of the people, he asked them where the Messiah was to be born. Herod called the astrologers aside and found out from them the exact time of the star’s appearance. Then he sent them to Bethlehem, after having instructed them, “Go and get detailed information about the child. When you have found him, report back to me—so that I may go and offer homage too”. After their audience with the ruler, they set out. The star which they had observed at the rising, went ahead of them until it came to a standstill over the place where the child lay. They were overjoyed at seeing the star and upon entering the house found the child with Mary, his mother. They prostrated themselves and paid homage. Then they opened their coffers and presented the child with gifts of gold, frankincense and myrrh. They were warned in a dream not to return to Herod, so they went back to their own country by another route. This entry was posted in Adult Education, Bible Study, HOLY CROSS LUTHERAN, Progressive Theology, SERMONS, STORIES, Theology and tagged Lutheran epiphany sermon, Progressive Christian Epiphany sermon, progressive Christian sermon Matthew 2, progressive christian theology, Refugee sermon by Rev. Dawn Hutchings. Bookmark the permalink. The Names, Jackelin (age 7) and Felipe (age 8) should be on everyone’s heart today. They and children like them are our starfish and we need to be involved in saving the Jackelins and Felips in the world today. Thank you Pastor Dawn Hutchings for converting us to action with your spoken word.